S Tech Security Sdn Bhd. Compression algorithm upgraded to H.264 High Profile，more advanced video compression technique makes the code stream lowered at least 30%. Completely new graphics operating interface design, to let you experience easily and conveniently. 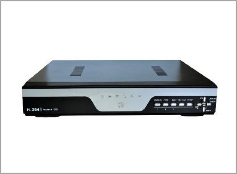 SDVR combines the functions of DVR/HVR/NVR together, multi-mode input ( support analog video, Analog HD video, network HD video input). No need to worry how to be compatible with analog system, to choose DVR or HVR, just one SDVR can work. Super Strong processing capacity: can realize 16CH AHD 720P@12FPS recording and 4CH AHD playback synchronously. Support main stream and extra steam encode synchronously. Main stream is for local storage to maintain the image quality, extra stream is for network real-time transmission, to easily solve the bottleneck problem of bandwidth. Support super cloud service (this function is optional, specialized website forsuper cloud service: www.dvrcenter.net), one step to do remote control easily & conveniently without any complicated setting. Powerful net service（support DHCP、PPPOE、FTP、DNS、DDNS、ARSP(www.dvrcenter.com)、NTP、UPNP、EMAIL、IP authority、IP search、alarm center, etc），complete enclosure（WEB、CMS、SDK），to easily achieve interconnection. Built-in IE plugs, no need to install from CD disk independently. Support 3G & WIFI extension. Multiplex operation : Preview, recording, playback, backup, network live, mobile phone view; all operations are independent of each other. Support many recording modes: Auto-continuing recording, timing recording, motion detection recording. Playback mode support normal play, speed play, fast back play, manual and single-frame play. Many backup device: USB flash disk, USB portable HDD and network. Support alarm triggered recording will send alerts matter (some models support sending picture) to the designated email. Support pre-alarm recording (before 10 sec),not lose any suspicious screen. Twenty kinds of language（English、Finnish、French、German，Greek、Italian、Japanese，Polish、Portuguese、Russian，Spanish、Thai、Simplified Chinese、Chinese-Traditional、Turkish, etc）,break up country limitation.